The Orkney archipelago is made up of around 70 islands situated off the North Western tip of Scotland and only fifty miles from Greenland, where the Atlantic ocean meets the North sea. Most of the islands are small (skerries), rocky islets scattered around the larger islands. Twenty one of these larger islands are inhabited, the majority of the population living on the mainland in Kirkwall and Stromness. Western Mainland parishes; Birsay, Evie, Firth, Harray, Orphir, Rendall, Stromness, Stennes and Sandwick. Eastern Mainland parishes; Deerness, Holm, St. Andrews and Ola surrounding the Town of Kirkwall. Outlying islands are Eday, Flotta, Hoy, North Ronaldsay, Rousay, Sanday, Shapinsay, Stronsay, Westray and Papa Westray. 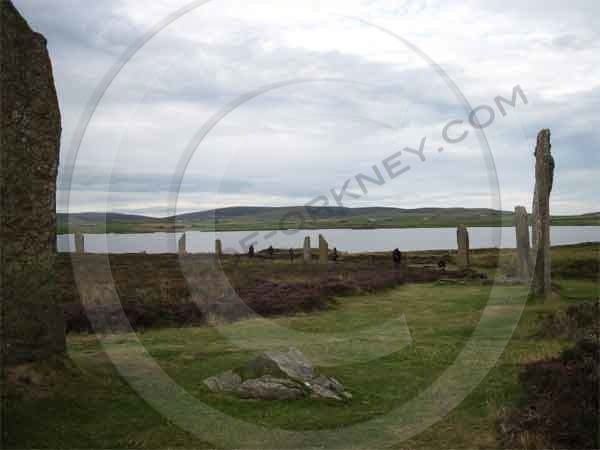 Visiting Orkney is an experience of real island life, peaceful with a slow pace and a warm welcome from the islanders. Top this off in a local restaurant with locally grown food and fresh fish caught the same day. Traditions are still strong on the island, from the music, whiskies and beers to the incredible art of the Orkney straw back chair maker, a unique skill handed down through the generations. You will find locally knitted garments, paintings and fine jewellery influenced by the nature and history of the islands. The Pictish and Viking ancestry is evident not only in the island lifestyle, it is everywhere you look, as Orkney boasts impressive archealogical remains, including Stone Age and Neolithic houses like those found at Skara Brae, standing stones and the world famous Ring of Brodagar. The islands are famous for sighting seals basking on the rocks and pristine white sandy beaches and crystal azure waters could make you easily believe you are on a tropical island. The RSPB have no fewer than thirteen nature reserves across Orkney, which is home to around 60,000 Puffins and other seabirds. Keep a look out for the Short Eard Owl or ‘Catty Faces’ as they are known locally. For those who have Orkney roots, tracing your ancestry is easy. The friendly Orkney Family History Society will point you in the right direction. The Orkney Library and archive is a Genealogists treasure trove. 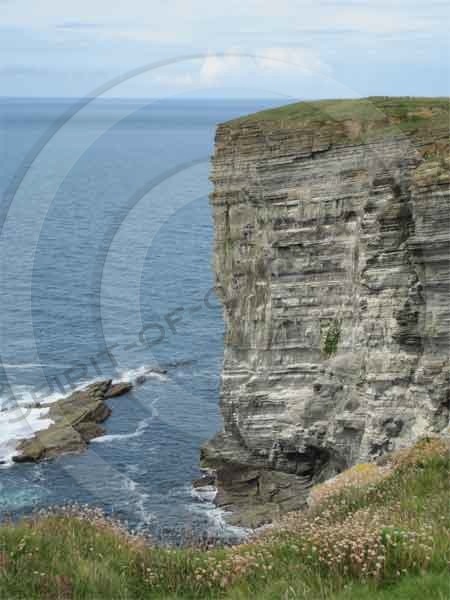 Orkney has a temperate climate Climate, warmed by the Gulf Stream. Wind is ever present to a lesser or greater degree, warm in the summer but adding a wind chill to the usually mild winters, with temperatures rarely dipping below zero. The best time to visit the islands is April to October to make the most of the long hours of daylight and the best of the weather. Midsummer skies stay light all night, with the sun just skimming the horizon before making it’s appearance again. However the darker days of winter with less than 6 hours of daylight and dark nights has its own unique feature and the Northern Lights (Aurora Borealis) or ‘Sky Dancers” as they are known locally can often be seen in a clear sky. Whatever your reason for visiting the Orkney Isles, there will be a strong compulsion to return time and time again.